Annually, Passover starts at sundown on the 15th day of the Jewish lunar month Nissan, which typically falls in March or April. 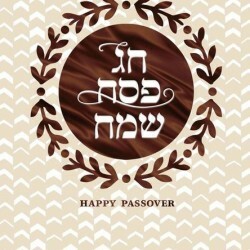 Passover also is known as “Pesach”, a Hebrew word pronounced “pay-sock”, which means “to pass over” or “to spare”. Hallmark first produced Passover cards during the 1940s. Passover commemorates the Israelites’ journey out of slavery in Egypt, as recorded in the Torah and in the Bible (Exodus chapters 1-14). God commanded Moses to lead the Israelites out of this slavery and into the wilderness, but when Moses asked Egypt’s ruling pharaoh to free the people, the pharaoh refused. God then sent 10 plagues upon the Egyptians, the last of which was a vow to send an angel of the Lord to kill the firstborn in every Egyptian home. Israelites were told to mark their doors with the blood of slaughtered lambs so that the plague would “pass over” them and spare their families. After the plague, the pharaoh ordered the Israelites to leave Egypt immediately. The people left in such haste that the bread they were baking had no time to rise. They packed the unleavened bread, which was more like hard crackers called matzos, to take with them on their journey. The pharaoh later changed his mind and sent his army to capture the Israelites. Trapped at the shore of the Red Sea, Moses called on God’s power to part the sea. The Israelites passed through safely before the sea crashed in and drowned the Egyptian army. As the Israelites left Egypt, God commanded the people to mark seven days in the month of Abib and to observe them each year by eating unleavened bread and telling their children the history of Israel’s journey out of Egypt (Shemot/Exodus 13:3-10). 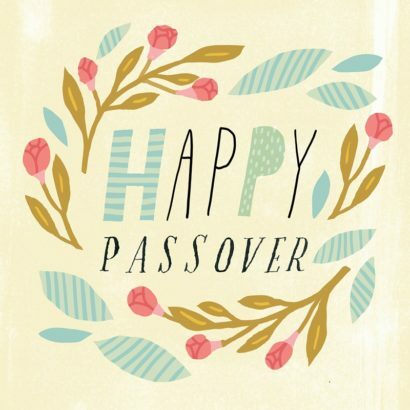 The oldest continuously celebrated Jewish festival, Passover is also one of three pilgrimage festivals, specific times each year that Israelite men were commanded to travel to Jerusalem and make special offerings or gifts (Source: “Pilgrimage Festivals” by Rabbi Daniel Kohn). In Israel, Passover is a seven-day celebration, and in other parts of the world it lasts eight days. Before the festival begins, all leavened products are to be removed from homes, which can be a vigorous cleaning process that takes days or weeks. During the festival, unleavened bread is to be eaten each day (Source: Jewish Virtual Library). This religious festival has both historic and agricultural significance. It marks the beginning of the harvest season in Israel and also symbolizes the Israelites’ freedom from slavery and exile in Egypt in approximately 1300 BCE. It starts with an evening gathering called the seder, which includes a special meal, telling of the Exodus story, prayers and other rituals, all done in a specific order (Sources: Jewish Virtual Library and Union for Reform Judaism). Available at Hallmark.com, Hallmark Gold Crown® stores nationwide and wherever Hallmark products are sold. Use the store locator on Hallmark.com to find the nearest retailer.